Early voting in the 2018 midterm elections ends this Friday, November 2. 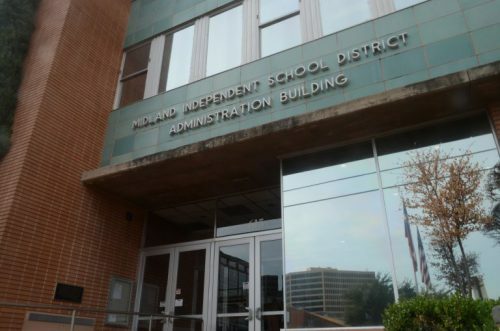 And in addition to city, county, and statewide seats, voters in Midland will be appointing two officials to the Midland Independent School District Board of Trustees. Marfa Public Radio’s Sally Beauvais breaks down who’s who when it comes to candidates for District 5. Sally Beauvais: and there’s also Goddard Jr. High, San Jacinto Jr High, and Early College High School. CM: So before we dive into who the candidates are, just quickly what are some of the big school board-related issues in Midland right now? SB: Of course there’s the growth in school enrollment in the Permian Basin. A lot of schools are already seeing more kids, and there’s significant growth predicted over the coming years. So we’ve got schools running out of space, and in need of updating. And actually a planning committee just went in front of the board recently with a 900 million dollar proposal that would be spread over the next decade, to kind of accommodate that growth. SB: And then there’s also recruiting and retaining teachers. As we know the district lost about 500 teachers last year, and started this year with over 100 vacancies. CM: Right, and that’s something a lot of districts in Texas are grappling with. But some candidates for school board do see this as a problem specific to Midland ISD. SB: I think that a good way to introduce our first candidate for District 5. SB: So first up is Heidi Kirk. She’s a former teacher at Lee High school in Midland. And she says she left the job in part because she felt like she couldn’t have a loud enough voice from within the school. Here’s Kirk. SB: So for Kirk it is really important to get that teacher perspective onto the board, to diversify the experiences of the people directing policy for the district. And she does already sit on 2 different district committees, but she’s running for this seat on the school board, as she said, to have a louder voice. CM: So what does Kirk have to say about the growth challenges the district is facing? SB: Kirk is interested in some of the alternative models that we’re starting to see in the Permian Basin, like online schooling and virtual academies, as at least one approach to MISD’s growth and infrastructure needs. Kirk herself got a handful of her own degrees online, so she’s a big proponent of that sort of alternative schooling. SB: She does. And in fact our next candidate is father to 5 kids. CM: Ha. So Kirk just barely has him beat there. SB: We’re talking about John Trischitti, Director of Midland County Libraries. 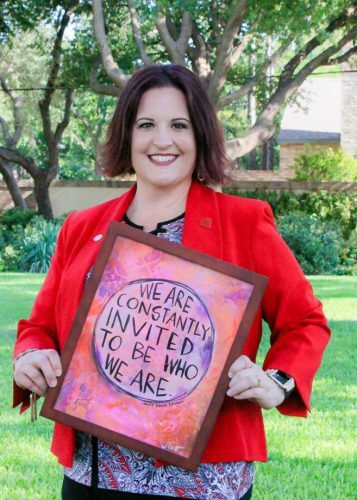 So Trischitti’s been connected to Midland ISD through literacy initiatives and other school outreach programs. He says his education made a huge impact on his life as a kid. And he wants to take his involvement to the next level. SB: One thing he made sure to say is that he doesn’t think it’s the board’s job to micromanage teachers and principals. To him, a board’s role is pretty straightforward — to support district employees, but also budget, policies, procedures and appointing a superintendent. CM: So what did Trischitti have to say about some of the these struggles the school district is having keeping and recruiting teachers? SB: On the recruitment side, he takes kind of a zoomed out view here. He says the school district isn’t the only industry struggling to recruit employees. And for him that’s something to consider when it comes to solutions. Here’s Trischitti. SB: He also says, you know, considering the growth in the district and its aging facilities, a bond is probably going to be necessary in the near near future. 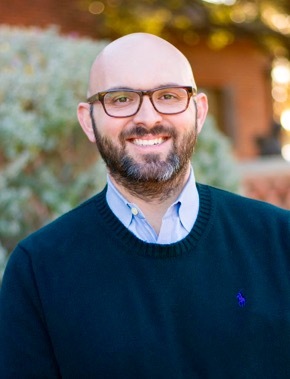 CM: Let’s talk about our final candidate for District 5, Thomas Wolfmueller. SB: Wolfmueller’s an engineering supervisor for Concho Resources. He’s got 3 kids in the district and he says he decided to make a go of it and run for a seat on the school board because he’s concerned about their education. Along with all the other students in Midland. The the teacher retention issue also worries him — he wants to work on building trust back up between the district and the teachers. CM: What does Wolfmueller think of that big facilities proposal that the planning committee put in front of the board recently? SB: He says the district definitely needs to plan for growth, but he wants to make sure the board allocates the money carefully. Here he is. SB: Wolfmueller deals with big dollar projects on a weekly basis as a part of his job, so he’d like to bring this sort of analytical, business-oriented approach to the school board. CM: So there we have it, 3 candidates for the school board seat in Midland ISD’s District 5. Sally, one interesting thing about these elections, school board candidates need to win with over 50% of the vote, is that right? SB: They do, and since there are 3 candidates for each seat, there’s a real chance we could end up with run-off races for these school board seats in Midland. CM: Well tomorrow, we’ll get into the Midland School Board candidates running in District 6. Sally, thanks for being here. 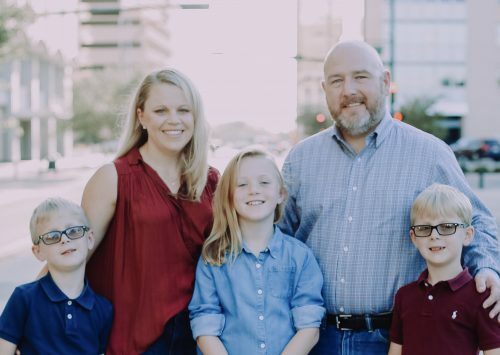 **CORRECTION: A previous version of this story stated that candidate Heidi Kirk has 6 children attending schools within Midland ISD. In fact, only 4 of her children are currently students at MISD. This entry was posted in KRTS News and tagged Heidi Kirk, John Trischitti, Midland ISD, Midland ISD Board of Trustees, Midland ISD District 5, Thomas Wolfmueller. Bookmark the permalink.